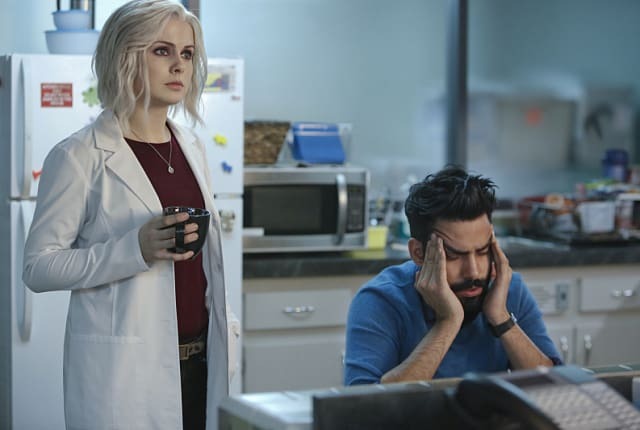 Watch iZombie Season 2 Episode 12 online via TV Fanatic with over 7 options to watch the iZombie S2E12 full episode. Affiliates with free and paid streaming include Amazon, iTunes, Vudu, Netflix, YouTube Purchase, Google Play, and Verizon On Demand. On iZombie Season 2 Episode 12, Liv and Det. Babineaux investigate a triple homicide, and are shocked to learn that the victims’ bodies are missing their heads. Looks like a no brainer to me, Liv! Permalink: Looks like a no brainer to me, Liv! For the record, all you are to me is a mistake. Permalink: For the record, all you are to me is a mistake.